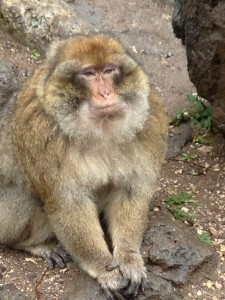 We were in Azrou on March 6, and it was one of the most beautiful days we spent in Morocco. It was literally “beautiful” because we visited some of the most wonderful natural environments in our trip. In the morning we gathered in a café with some Moroccan NGO members and the people who did translation for us. Among the NGO members, two of the men worked for the public health of the region. We learnt about many problems of this region and the NGO’s efforts to improve the situations. A few major points that came out to me in the conversation were that in Morocco, there is a health-care system which is good in the sense that people only pay a little to see a doctor, and the qualification for becoming a doctor is very high. However, although there are a cheap health system and good doctors, the infrastructure is very poor. There is not enough funding for ambulances and helicopters, and local hospitals are so lacking that many sick people died on their way to the big cities. An important reason is that the corruption on the administrative levels made the funding reaching the general public very scarce. In order to develop local infrastructures, the region has been encouraging investment from Moroccan Diaspora abroad, but the immigrants rarely come back – they prefer investing in the big cities. Learning about the healthcare system of Azrou and about the local development as a whole, we are able use the small city of Azrou as a lens to look at the development of the entire Morocco and its correlation with immigration. The highlight of our day was actually in a small village at the outskirt of Azrou, a very poor village situated in the most magnificent landscape we have ever seen in Morocco. On the way our bus stopped on a small mountain where we were greeted by a group of very cute wild monkeys. They have learned the way of human-beings so well that they would jump by you, dragging your pants and asking for more peanuts. 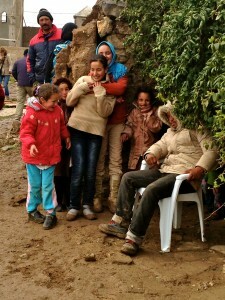 When we reached the village the rain was pouring, and a group of NGO volunteers were standing in the mud waiting for us. This town looks exactly like the town depicted in the Moroccan film: the Sleeping Child, in which townspeople would walk out of the low earth houses and look hopelessly at the endless plain and mountains, which block their view of the cities and of the civilization. However this place is incredibly beautiful. On the boundless earth the rolling mountains were crowned by heavy grey cloud. The branches of river were flowing wildly, shimmering and reflecting the silver color of the rainy sky. The busy presence of the volunteers added a lively touch to the picturesque beauty of the entire landscape. We went into the houses and saw the works the volunteers were doing – there are packs and packs of donations. Food, clothes, and blankets were collected from main Moroccan cities like Nador. We started talking to the volunteers, who came from mainly the Nador city and from universities. For some reasons we were not able to have a formal interview with them, but many of us who speak French or Spanish did get to communicate with them individually. These volunteers were representative of five organizations that work together to provide humanitarian aid to the poor villagers. Besides distributing donations, they also came once in two weeks to give free medical services to the villagers. It is wonderful to know that there are a number of social workers taking care of the villagers who, in many cases, are women, children, and elders left behind by migrants. 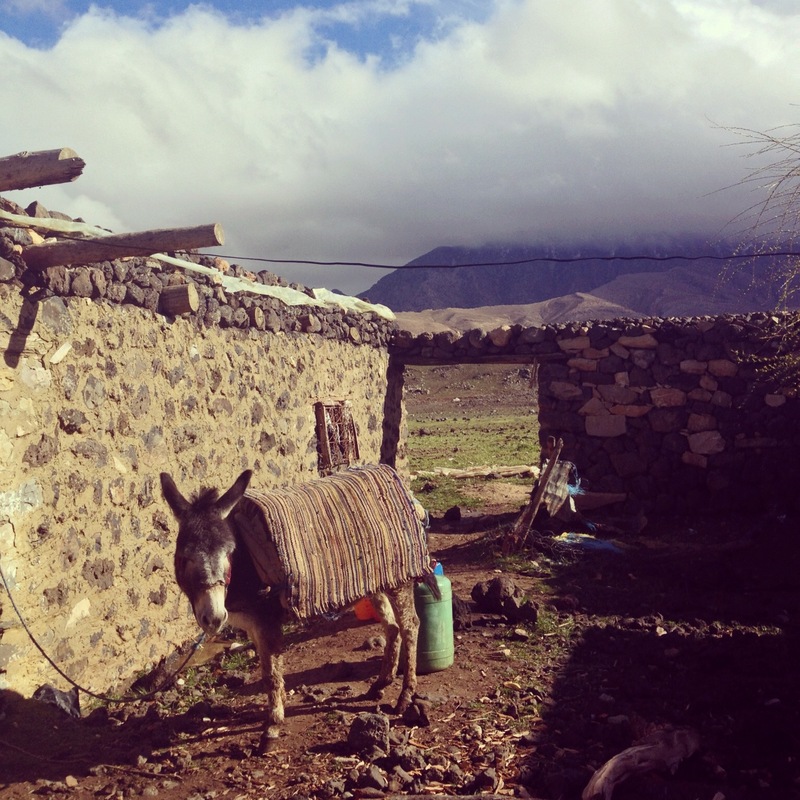 Also, it is important for us not only to learn the situations of poor villages in Morocco from readings and films, but also to witness the situations by ourselves. After more than an hour of talking, a wonderful meal was served to us, and we were not able to eat it up: first a Tajine with beef and vegetables, then a big plate of CousCous with more beef and milk, and at last a full plate of fruits. 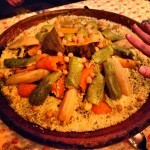 Once again we experienced the Moroccan hospitality which reveals so much about the Moroccan culture. When I first arrived in Rabat, eating with fingers and from a common plate of food made me uncomfortable, as I have got used to having my own share of food in my own plate. However, as I got more immersed in the culture by staying in local families and eating everyday with warmhearted Moroccans, I learned to appreciate the communal sense of Moroccans. When people graciously offer you a sip from their own glass or moving more food from their “zone” of the Tajine (the special container where everyone eats from) to yours, it shows that they love you, trust you and receive you as one of them. 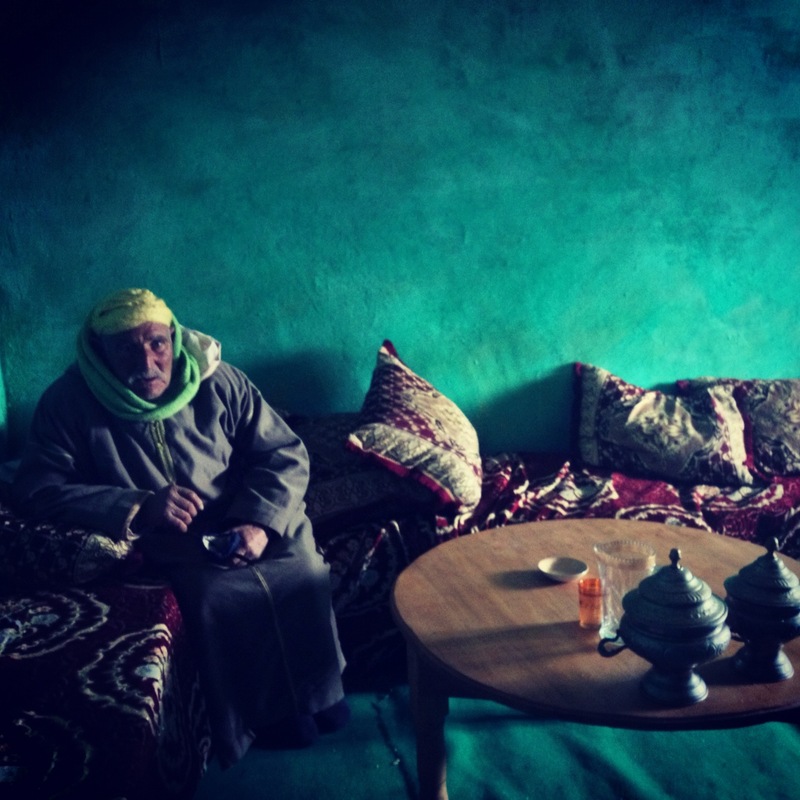 Learning to respect and appreciate the communal culture of Morocco is one of the best harvests of my trip. When we were leaving, the weather became nicer, and under the sun the village and its surroundings looked magnificent. The golden sunlight spraying out of the cloud went through the moist air and illuminated the grassland and the rivers. At this moment, someone in our car shouted: “rainbow! !” We all turned to see, and on the golden grassland there stood a huge and resplendent rainbow. We stopped the bus and rushed out to take photos – for many of us it is the first time in life seeing such a perfect rainbow. In the evening we all went back to our host families to enjoy the dinner. I had a wonderful roasted chicken with bread, one of the best meals I have had in Morocco. March 6 was an eventful and beautiful day!